yeah more like they overestimated how much they think they could screw over their customers with price gouging and selling them features nobody asked for in the first place. Not bad for buggy launch driver. 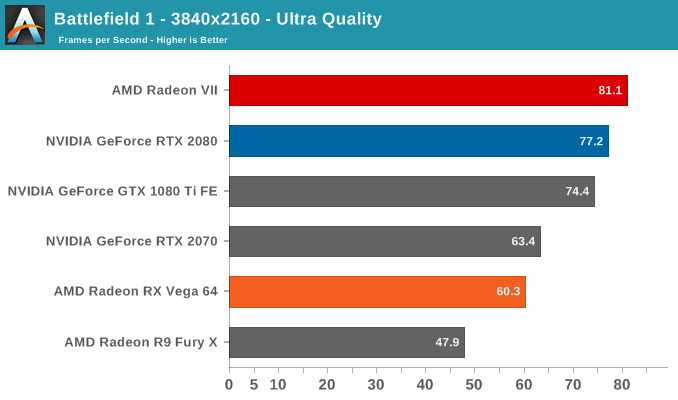 The expectations for VEGA 20, or what is now called Radeon VII have been high. It is impressive to see what the 7nm node brings extra in performance. This card behaves well in the more high resolutions, but with some titles, it can cave in back in-between an RTX 2070 and RTX 2080. So is that enough for those spending 699 USD on it? Personally, I do not think so, and don't get me wrong here as I really like the card, but I do feel this is a product for the 499 USD range. The good thing for AMD is that not everybody will agree with me and I am sure that they'll sell plenty of these puppies. Please do make note of the acoustic levels, I would rather see this product liquid cooled or with a beefy ASUS or MSI cooler smacked on top of it to see if we can get them DBa levels down. Much like a Tesla has Ludicrous mode, this card comes with a staggering 16GB of HBM2 memory. Really, that is overkill. Then again thinking outside the scope of gaming, content creators and more professional workloads, here where it'll matter more. A lack of graphics memory, however, is not something you'll easily run into for the coming years. Battlefield V manages to pull roughly 70 FPS on average in Ultra HD. That's 44 FPS for Shadow of the Tomb Raider and 60 FPS in Far Cry 5. These are good values at such monitor resolutions and remember we always apply the better of not best relevant image quality settings. As mentioned, performance can be all over the place. One moment with certain titles it's just above the RTX 2070, where in others it runs far ahead of the RTX 2080. That is a bit weird to observe but has everything to do with the nature of the beast. Some games will benefit greatly from HBM2 on the extremely wide memory bus for example. It's the intricate little stuff like that that define the differences. We feel the Radeon VII is a very interesting and fascinating product. It will probably need a few driver updates to get fully up-to-snuff. The pricing though is the decisive factor, and only you guys can determine whether or not the 699 USD is worth it. We would happily recommend it though if you'd like to be that 1st next-gen 7nm adopter with the 16GB graphics memory that comes with it. The Radeon VII 16G will be available starting today at a price of 699 USD / 729 euros, buyers of a Radeon VII graphics card or a PC equipped with a Radeon VII will also receive three free games Resident Evil 2, Devil May Cry 5 and The Division 2. We'll grant a recommended award under the condition that our cooler acoustics levels are erroneous and based on an issue with the cooler. However, if that turns out to be proper baseline performance we do recommend you to look at AIB custom cooled products. good card for the most part, but expensive. Makes my used 1080ti feel even better now. mainly i want it because of 16gb hbm and latest shrink node for $700 is a bargain. I guess we have different definitions of "bargain"
Any of yall have any old gpu's for sale? Looks like we will have to wait for Navi to get anything interesting. bargain for cc guys. if you can find one that is... lol. Finally after gathering parts for 6 months, it's finally up and running. Ain't top of the line, but it runs what I want. theres no slot pass thru for the front i/o connection? I've been eyeing an rx580 how do you like that specific version? There is, but the USB cable wouldn't fit. As for the card, I haven't played anything yet so I cant report on performance. Got to reinstall all my games. i hate those bulky usb connectors. 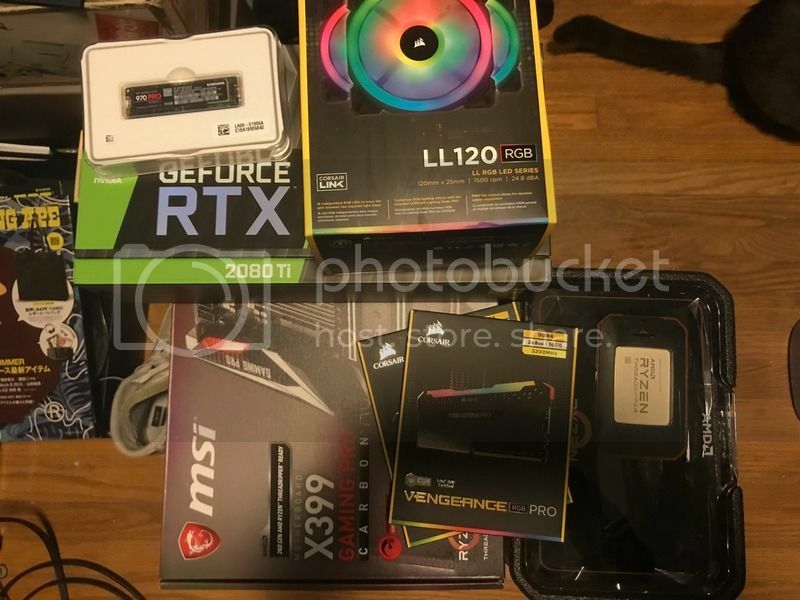 I bought a amd threadripper 2970wx and a RTX 2080ti founders edition (11gb). Can't wait to finish the build. beastly... post pic of it. Haven't installed anything yet(still piecing it up), but i'll take pics of the stuff when I get back home. I still need to get a Cosair H100i RGB Platinum, Cosair Obsidian 500D RGB SE ATX Mid Tower Case, and a Thermaltake Toughpower iRGB PLUS Platinum 850W PSU.